Join Phenomenal Woman In Christ founder, Tereciah V. Smithen-Quintana as she hosts the Grow and Go Forth Women's Leadership Virtual Conference. Woman of Purpose it’s time to shine! It’s time to walk in the fullness of who God say’s you are and what you are ordained to be! It is time to let your greatness arise and your leadership come forth! It’s time to imagine a new you! You've seen the shows and listen to the women talk about what it took for them to walk the path God ordained for them. Don't you think it's time for YOU to start moving? Tired of feeling stuck, unfulfilled, restless, unhappy with life? DO SOMETHING ABOUT IT! Join us at this conference and get the steps necessary to fulfill your calling and become a PHENOMENAL WOMAN IN CHRIST! This is going to be a Powerful, Transformational and Educational Experience! 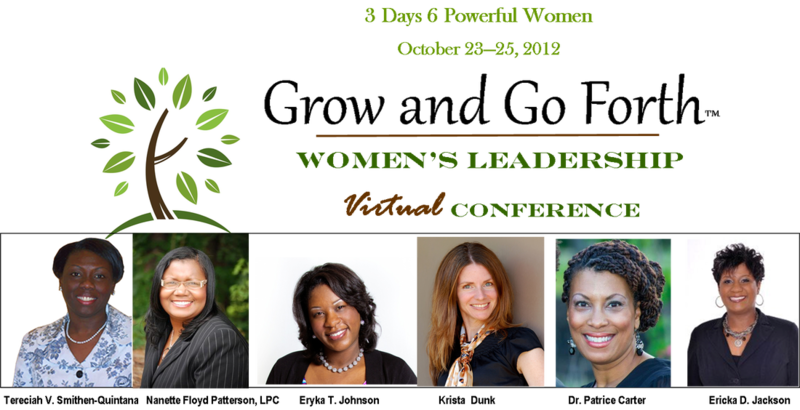 Visit www.GrowAndGoForth.com to get more information and to register.